PLEASE NOTE THAT THE FOLLOWING PARAGRAPH DOES NOT APPLY IN CIRCUMSTANCES IN WHICH THE LAWS APPLICABLE IN THE RELEVANT JURISDICTION (INCLUDING THE PROVINCES OF ALBERTA, QUÉBEC AND ONTARIO CANADA, THE UNITED KINGDOM AND BRAZIL) PROHIBIT ITS APPLICATION. THIS AGREEMENT INCLUDES A MANDATORY ARBITRATION PROVISION, WHICH MEANS THAT YOU AGREE TO SUBMIT ANY DISPUTE RELATED TO THE SERVICE OR YOUR ACCOUNT TO BINDING INDIVIDUAL ARBITRATION RATHER THAN PROCEEDING IN COURT. THE DISPUTE RESOLUTION/ARBITRATION PROVISION ALSO INCLUDES A CLASS ACTION WAIVER, WHICH MEANS THAT YOU AGREE TO PROCEED WITH ANY DISPUTE INDIVIDUALLY AND NOT AS PART OF A CLASS ACTION. THIS AGREEMENT ALSO INCLUDES A JURY WAIVER. 1.2 BY COMPLETING THE REGISTRATION PROCESS ON THE SITE OR BY USING THE SERVICES, YOU AGREE TO BE LEGALLY BOUND TO THE TERMS AND CONDITIONS OF THIS AGREEMENT. If you choose not to agree, then you must exit the Site now and not use the Service. 1.3 The date appearing at the top of this Agreement is the date when this Agreement was last modified (“Last Modified”). Thales may modify this Agreement at any time in its sole discretion. Any such modifications shall have immediate effect. You are responsible for periodically reviewing this Agreement and checking the date appearing in the Last Modified section at the top of this Agreement. Your continued use of the Service after a modification constitutes your agreement to the modified version of the Agreement. (d) to update your account information as necessary so that it remains complete and accurate in the future. 2.2 The terms “you” and “your” in this Agreement apply to you individually or, in the case where you use the Service on behalf of a company, your company. 2.3 It is your sole responsibility to ensure that your electronic device is compatible to enable operation of the Service, including but not limited to Wi-Fi capability. 3.1 “In order to use most aspects of the Services, you must register for and maintain an active personal user Services account (“Account”). You must be at least 18 years of age, or the age of legal majority in your jurisdiction (if different than 18) to obtain an Account. Account registration requires you to submit to us certain personal information, such as your name, address, mobile phone number and age, as well as at least one valid payment method (either a credit card or an accepted payment partner)”. 3.2 You shall not disclose your Account log-in, password, or any other User registration information to another user. You are solely responsible for the confidentiality, security, and integrity of your Account, which means that you are solely responsible for all use and misuse of your Account such as any breach of this Agreement, the accrual of fees, or other harms that may arise. Sharing your Account information with another user may constitute theft or fraud. Use of the Service is personal to you and your Account as a User and is not transferable to any other person or user. All Users shall abide by this Agreement as a material inducement and condition for Thales to provide the Services. 3.3 Your communications over the Service may or may not be encrypted. Thales recommends that if you use your own personal electronic device to access the Services that you use good security practices while using the Service. We suggest that you consider using a VPN (Virtual Private Network) and that you use a reputable and up-to-date program to detect and treat malicious software code and that you disable any file sharing services or programs and that you implement a firewall. 3.4 YOUR USE OF THE SERVICE IS AT YOUR SOLE RISK, INCLUDING BUT NOT LIMITED TO THE TRANSMISSION OR COMMUNICATION OF ANY SENSITIVE, PERSONAL, PRIVATE, CONFIDENTIAL, OR PROPRIETARY INFORMATION. (q) decompiles, reverse engineers, or disassembles any portion of the Services. 5.1 If Thales reasonably suspects or determines that you have breached this Agreement, Thales has the right (but not the obligation) in its sole discretion to: (i) conduct an investigation; (ii) terminate or suspend your account; (iii) pursue legal action against you; and (iv) report you to the applicable law enforcement authorities. Such action may occur by Thales with or without notice or an opportunity for you to fix or cure the breach. 5.2 You acknowledge and agree: (i) that the Service may be affected by a range of factors, including but not limited to your electronic device, network capacity, the number of users on the system at any particular time, aircraft location, signal strength, interference, equipment maintenance and repair, and atmospheric conditions; (ii) that inflight internet connectivity services, including the Services, have certain inherent risks regarding security, privacy, and confidentiality; (iii) that Thales is not liable nor responsible for any content, communications, acts, omissions, operations, goods, services, or advertising provided by, through or to any third party websites, regardless of whether they may appear on or through the Site or Services; (iv) that your communications over the Service may become misdirected or lost for a variety of reasons due to variations or disruptions to the Services or the internet generally; and (v) that this Agreement allocates certain risks, liabilities, and obligations between our parties as reflected in the pricing of the Services. 5.3 YOUR USE OF THE SERVICE, AND THE INFORMATION YOU PROVIDE OR ACCESS THROUGH THE SERVICE, IS ALL AT YOUR SOLE RISK. 5.4 THE SITE AND SERVICES ARE PROVIDED ON AN “AS IS” AND “AS AVAILABLE” BASIS ONLY WITH ALL ERRORS, INTERRUPTIONS, AND FAULTS, AND WITHOUT WARRANTIES, REPRESENTATIONS, NOR CONDITIONS OF ANY KIND, WHETHER EXPRESS, IMPLIED, STATUTORY, OR OTHERWISE, INCLUDING BUT NOT LIMITED TO ANY WARRANTIES OF WORKMANSHIP, DESIGN, MATERIALS, MERCHANTABILITY, FITNESS FOR A PARTICULAR PURPOSE, QUIET ENJOYMENT, ACCURACY, TITLE, OR NON-INFRINGEMENT OR ANY WARRANTIES ARISING FROM COURSE OF PERFORMANCE, COURSE OF DEALING, OR USAGE OF TRADE. 5.5 WITHOUT LIMITING THE FOREGOING, THALES DISCLAIMS ALL WARRANTIES, REPRESENTATIONS, AND CONDITIONS THAT THE SERVICES WILL: (I) MEET YOUR REQUIREMENTS, BE EFFECTIVE, OR PROVIDE ANY PARTICULAR RESULTS; (II) BE TIMELY, UNINTERRUPTED, SECURE, ERROR-FREE, OR FREE FROM MALICIOUS CODE; (III) PROVIDE ANY PARTICULAR SPEED, CAPACITY, OR EFFECTIVENESS; (IV) PROVIDE ACCESS TO ANY OR ALL THIRD PARTY WEBSITE(S), CONTENT, OR PROGRAMS; OR (V) BE COMPATIBLE WITH YOUR COMPUTER OR OTHER ELECTRONIC DEVICE(S). 5.6 THALES DISCLAIMS ALL LIABILITY FOR THE CONTENT, COMMUNICATIONS, ACTS, OMISSIONS, OPERATIONS, GOODS, SERVICES, AND ADVERTISING PROVIDED BY, THROUGH, OR TO ANY THIRD PARTY, REGARDLESS OF WHETHER THEY MAY APPEAR ON OR THROUGH THE SITE OR SERVICES. THALES DISCLAIMS ALL LIABILITY FOR ANY PHOTOGRAPHS, IMAGES, VIDEOS, AUDIO, CONTENT, MUSIC, OR CREATIVE WORKS THAT YOU PROVIDE TO ANY THIRD PARTY SERVICE OR WEBSITE. 5.7 THALES RESERVES THE RIGHT IN ITS SOLE DISCRETION TO SUSPEND, TERMINATE OR MODIFY THE SITE OR SERVICES AT ANY TIME IN ITS SOLE DISCRETION AND WITHOUT NOTICE TO YOU. 5.8 THESE PROVISIONS APPLY NOTWITHSTANDING THE FAILURE OF THE ESSENTIAL PURPOSE OF ANY REMEDY. 7.1 The Site or Services may provide you with access to goods, services, content, or information from third parties (“Third Party Sites”). You acknowledge that Third Party Sites may contain information that is inaccurate, inappropriate, offensive, or objectionable. These Third Party Sites are not under our control or supervision, and you acknowledge that we are not responsible for the accuracy, legality, decency, or content of such Third Party Sites, nor are we responsible for errors or omissions arising from or related to any Third Party Sites. Thales provides links and references to Third Party Sites for convenience only and disclaims any endorsement, liability or obligation related thereto. 7.2 From time to time, the Site or Services may include advertisements offered by third parties. You may enter into correspondence with or participate in promotions of the advertisers showing their products or services on the Site or Services. Any such correspondence or promotions, including the delivery of and the payment for goods and services, and any other terms, conditions, warranties or representations associated with such correspondence or promotions, are solely between you and the advertiser. You acknowledge and agree that we assume no liability, obligation or responsibility whatsoever for any part of any such correspondence or promotion. Copyright © Thales Avionics, Inc., InFlyt Experience 2017, All rights reserved. Thales and its licensors retain all right, title, and interest in their intellectual property (whether patents, trademarks, copyrights, or trade secrets) arising from or related to the Site and Services (collectively, “Intellectual Property”). Other than the limited right to use the Services pursuant to this Agreement, you obtain no right, title, or interest whatsoever in or to any of the Intellectual Property, whether by estoppel, implication, or otherwise. Subject to our Privacy Notice, any communication or material that you transmit to this Site or to us or through our Services, whether by electronic mail or other means, for any reason, will be treated as non-confidential and non-proprietary. 10.4 THIS LIMITATION OF LIABILITY APPLIES NOTWITHSTANDING THE FAILURE OF THE ESSENTIAL PURPOSE OF ANY REMEDY. 10.5 YOU AGREE THAT THIS LIMITATION OF LIABILITY ALLOCATES CERTAIN RISKS, LIAILITIES, AND OBLIGATIONS BETWEEN YOU AND THALES AS REFLECTED IN THE PRICING OF THE SERVICES. SOME JURISDICTIONS DO NOT ALLOW FOR THE LIMITATION OF LIABILITY FOR CONSEQUENTIAL OR INCIDENTAL DAMAGES AND AS SUCH THESE LIMITATIONS ON LIABILITY MAY NOT APPLY TO YOU. YOU MAY HAVE OTHER RIGHTS AND REMEDIES THAT VARY FROM JURISDICTION TO JURISDICTION. The Services are most appropriate for, online shopping, email and web-browsing where the required network capacity is minimal. You acknowledge and agree that we may establish general practices and limits concerning use of the Services, including without limitation the maximum amount of data downloaded or uploaded and upload and download speed. You acknowledge and agree that we have no responsibility or liability for the exercise of such practices and limits or for the failure to transmit any material from you through the Services. You further acknowledge and agree that we reserve the right to change these general practices and limits at any time, in our sole discretion, with or without notice. The accounts of our users operate on shared resources. Excessive use or abuse of these shared network resources by one user may have a negative impact on other users. Misuse of network resources in a manner that impairs network performance is prohibited and may result in termination of your account or other limitations or conditions imposed by Thales. You agree that we may, in our sole discretion and without any liability, terminate or suspend your access to all or part of the Services with or without notice and for any reason, including, without limitation, failure to pay fees and actual or suspected breach of this Agreement. Upon termination or suspension for any reason, your ability to use the Services shall cease and Thales may delete or deactivate your User account. 14.1 This Agreement and any action related hereto shall be governed, controlled, interpreted and defined by and under the laws of the State of New York and the federal laws of United States of America, without regard to the conflict of laws provisions thereof. You agree to specifically disclaim the application of the U.N. Convention on Contracts for the International Sale of Goods (1980) or any subsequent revision(s) thereto. 14.2 In the event of any dispute arising out of or in connection with the Site, Services or this Agreement, you agree to first provide Thales with the opportunity to address your concerns. You shall provide Thales with a written description of the dispute, including your name, address, date(s) of Service, and how and when the problem arose. Such disputes shall be submitted to Thales Inflyt Experience, 58 Discovery Drive, Irvine, CA, 92618 U.SA., Attention VP of Legal. You agree to reasonably cooperate and communicate amicably with Thales for a period of sixty (60) days after Thales receives your written dispute to attempt to resolve your dispute. 14.3 If the amicable dispute resolution process fails, and the sixty (60) day period has passed, then we agree that any controversy or claim arising out of or relating to this Agreement, or the breach thereof, shall be settled by the American Arbitration Association (“AAA”). For claims of less than $75,000, the AAA’s Supplementary Procedures for Consumer-Related Disputes shall apply; for claims at or over $75,000, the AAA’s Commercial Arbitration Rules shall apply. You can obtain the AAA rules by visiting www.adr.org or calling 1- 800-778-7879 (within the U.S.). The arbitration shall have one (1) arbitrator appointed in accordance with the AAA rules. Such arbitrator shall have the authority to award any equitable or legal remedies that are available in court. The place of arbitration shall be Irvine, California. The language of the arbitration shall be English, unless you do not speak English in which case the arbitration shall be conducted in both English and your native language. The arbitral award shall be final, binding, and enforceable upon our parties. Judgment upon the award rendered by the arbitrator may be entered in any court having jurisdiction thereof. It is agreed that this Agreement involves interstate commerce and that the Federal Arbitration Act and other federal laws regarding arbitration apply to arbitration under this Agreement (notwithstanding any other choice of law provisions). 14.4 You agree to pursue any disputes, claims, losses, and damages pursuant to this Article 16 not later than one (1) year after the accrual thereof, failing which the disputes, claims, losses, and damages shall become time-barred and extinguish. 14.5 The dispute resolution process of this Article 16 shall apply to all disputes, claims, losses, and damages except for: (i) matters involving security, confidentiality, or intellectual property, in which case Thales and other involved third parties may pursue injunctive or other appropriate relief in any court of competent jurisdiction; and (ii) matters eligible for small claims court. 14.6 You have a right to opt-out of the mandatory AAA arbitration contained herein. If you disagree with such provision then with regard to every particular interaction or use of the Service you shall provide Thales with written notice not later than thirty (30) days after such interaction or use, failing which such interaction or use shall be governed by the dispute resolution as described in this Article 16. 14.7 Any dispute or claim arising out of or related to the Site, Services, or this Agreement that is not resolved under the mandatory arbitration provisions of this Article 16 shall be submitted to the exclusive jurisdiction of the United States federal courts or the New York State courts located in the State of New York, U.S.A. and no other court. Each party agrees to submit to the personal jurisdiction of such courts and to accept service of process from them. 14.10 YOUR JURISDICTION MAY PROVIDE YOU WITH RIGHTS THAT CANNOT BE LIMITED, MODIFIED OR DISCLAIMED UNDER THIS AGREEMENT, IN WHICH CASE SUCH RIGHTS SHALL BE LIMITED, MODIFIED, OR DISCLAIMED TO THE MAXIMUM EXTENT AS PERMITTED BY LAW. This Agreement becomes effective upon your successful registration for an account with the Services and remains in effect until: (i) you provide us with notice that you wish to terminate your account; or (ii) Thales terminates your account pursuant to this Agreement. Any Articles herein, which by their nature shall survive the expiration or termination of this Agreement, shall remain in full force and effect after such expiration or termination, including but not limited to Articles 5 (Thales Rights and Disclaimers), 10 (Limitation of Liability), 11 (Indemnification), and 14 (Governing Law and Dispute Resolution). All documentation, correspondence, notices, disputes and communications between our parties shall be in the English language. If the text of this Agreement exists in any language other than English, then the English language shall prevail over all other language versions. 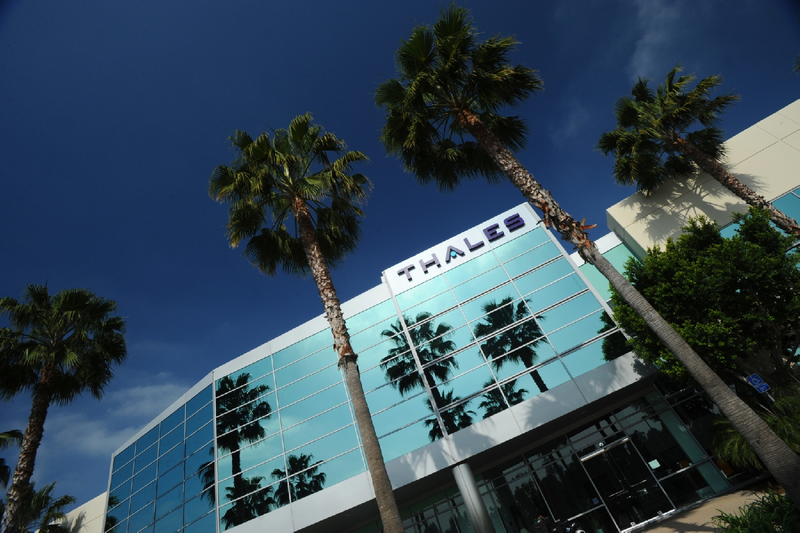 Thales may assign any or all of its rights and obligations under this Agreement or related to the Service in its sole discretion and for any reason, including but not limited to merger, acquisition, or sale of all or substantially all of Thales’s assets. You shall not assign nor transfer this Agreement to any other person or company without Thales’s prior written consent, failing which such purported assignment or transfer by you shall be null and void.